Knowledge workers perform their work talking, either to yourself or to others. Your performance, therefore, not only depends on your knowledge, but also and in a not less important way, on your conversational competences. The notion of you being a ‘conversational agent’ leads us to look at the manager’s function with different eyes. We need to be conversational agents par excellence! You can’t innovate, learn and generate new opportunities, if you are not allowed to make errors in the process. The error becomes a condition of achievement and it is important to newly legitimate it. It is no question to promote the error, but to place it at the service of results. What favours the knowledge worker’s performance is a very different kind of emotion: trust. 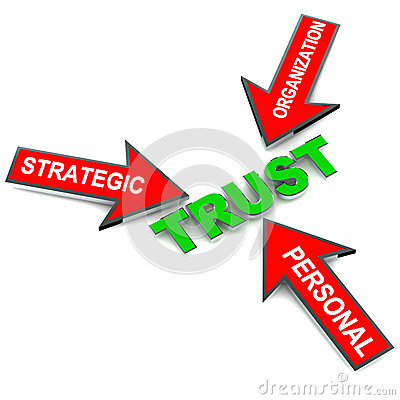 Managers need to be the guardians of staff’s trust, which is one of the most important teams' assets. You must know how to build trust, you must know how to destroy it in order to avoid it and you also must know how to rebuild it when it has been jeopardized. In our lunchtime conversation the managers’ provided some great examples of work areas where the above is occurring. They also spoke about where it isn’t. One of the interesting things that emerged was about how we can build Trust. I asked if they remembered the elements of Trust...alas they didn’t. So I took them through each element and they came up with examples. Sieler offers a Trust Model so you can support your knowledge workers. What favours the knowledge workers performance is when you are trusted, remember ‘Trust is the glue that holds relationships together’ and ‘Trust is the emotional lubricant of organisations’.